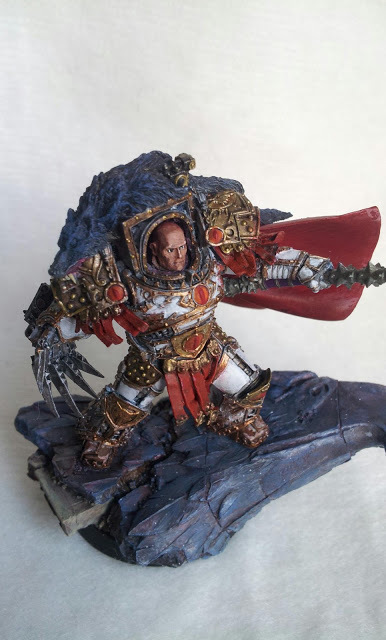 The Warmaster Horus Lupercal with white armour. 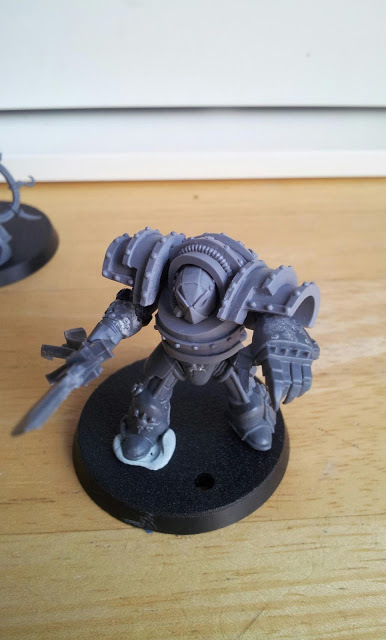 At least the Warmaster Horus Lupercal is here! 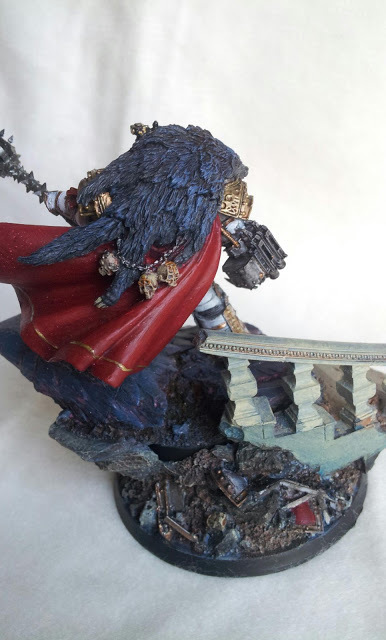 I am actually really proud of this model, I think it is really some of my best work. 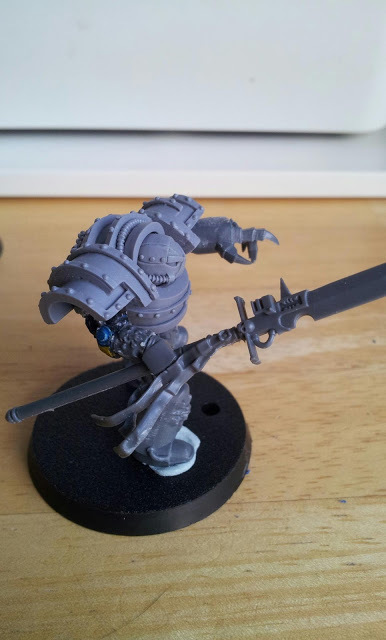 Haven gone with the idea of the white armour for him I spent a lot of time looking at images like this. But ultimately I thought the shoulders would look better in the matching bronze/gold. 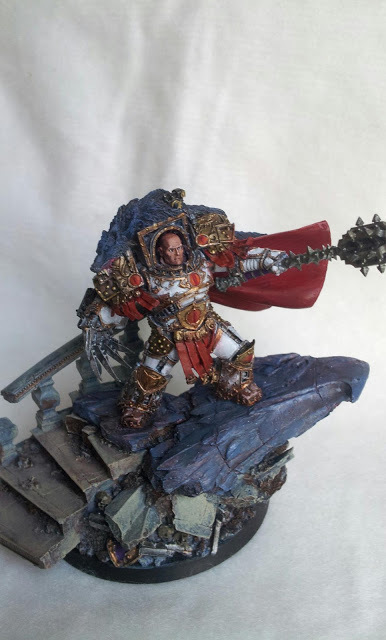 Warmaster Horus in all his Glory! shoulder pads half buried in the rubble. 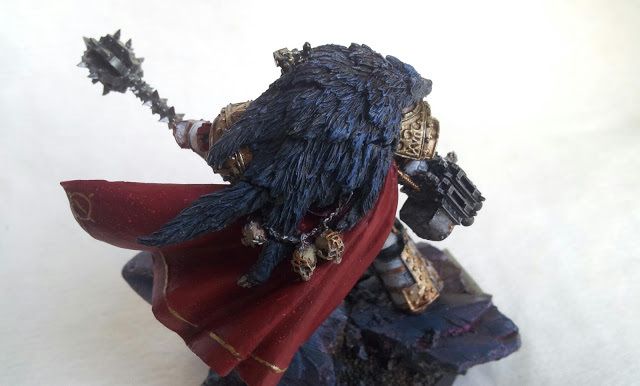 I am also quite pleased with how the cloak and wolf fur turned out. Bit of a better view of the face, which is the best face I have ever done. I will wait a while before going back to them. This is a nice view of the marble steps leading up to Lupercal. 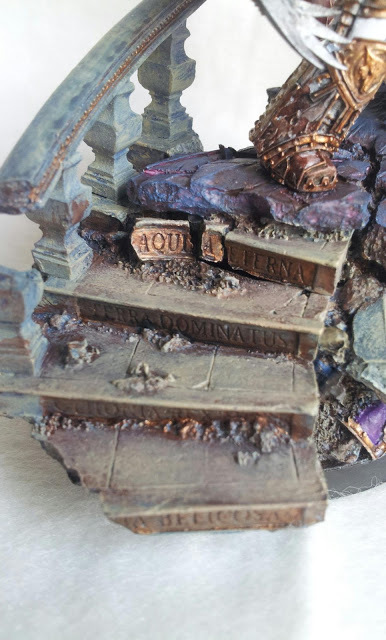 to be a battled damaged Imperial ruin. 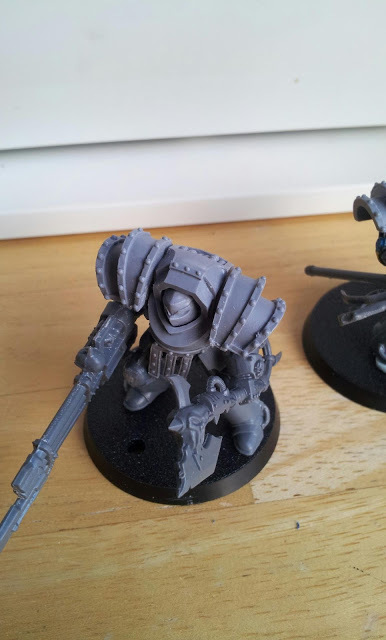 Below are some WIP pictures of a bodyguard for the Horus Lupercal himself. 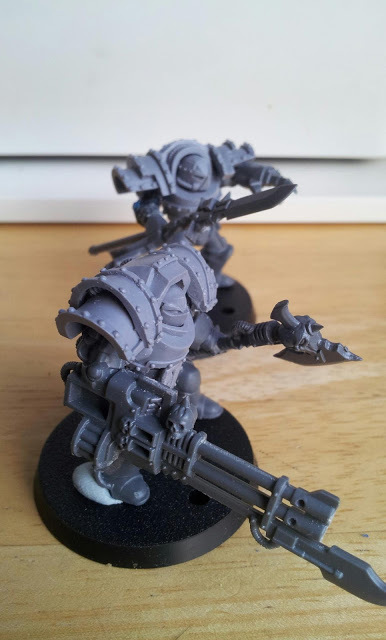 They are made from a scattering of Chaos terminator arms I got lucky to acquire in my bits box and some old Black Reach terminators. Nothing is set in stone on these folks yet, I would really appreciate some input on them. This is a bit outside my comfort zone. Should I sling a combi bolter on this guy? I’ve always wanted to have a reaper auto-cannon.